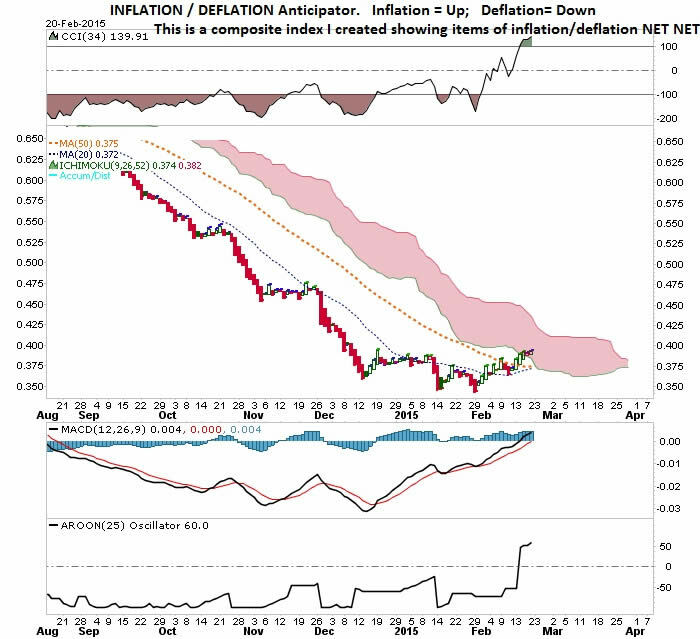 Nicholas Migiliaccio writes: This is a composite index composed of securities whose movements tend to anticipate the subsequent commencing and movement of Inflation and Deflation. In this illustration, the manifestation of Deflation, is subtracted from the manifestation of Inflation, and the remainder is displayed graphically. will become dangerously difficult to control.